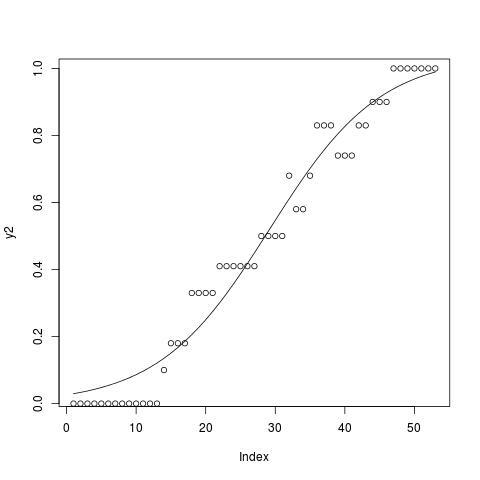 This is a short tutorial on how to fit data points that look like a sigmoid curve using the nls function in R. Let’s assume you have a vector of points you think they fit in a sigmoid curve like the ones in the figure below. Let’s assume a more simple form in which only three of the parameters K, B and M, are used. Those are the upper asymptote, growth rate and the time of maximum growth respectively. 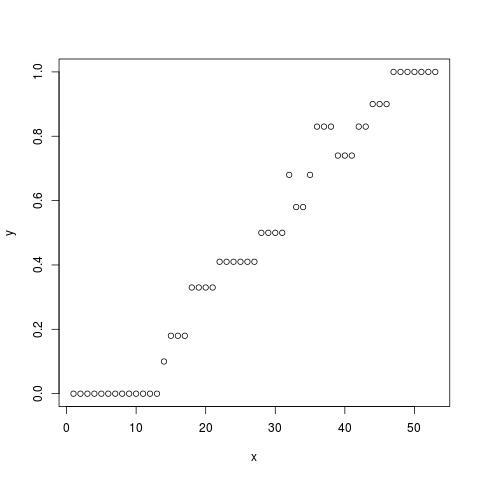 Now the data points along with the sigmoid curve look like this, with a = 1.0395204, b = 0.1253769, and c = 29.1724838.